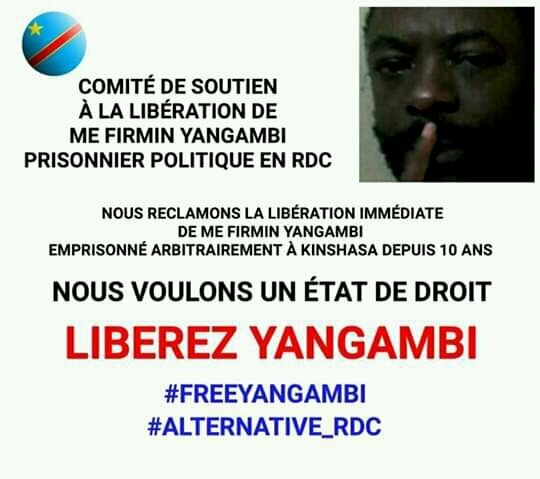 L’avocat Firmin Yangambi, président de l’ONGDH Paix sur terre est sorti ce vendredi 15 mars de la prison centrale de Makala. A sa sortie, il était accompagné de sa famille. 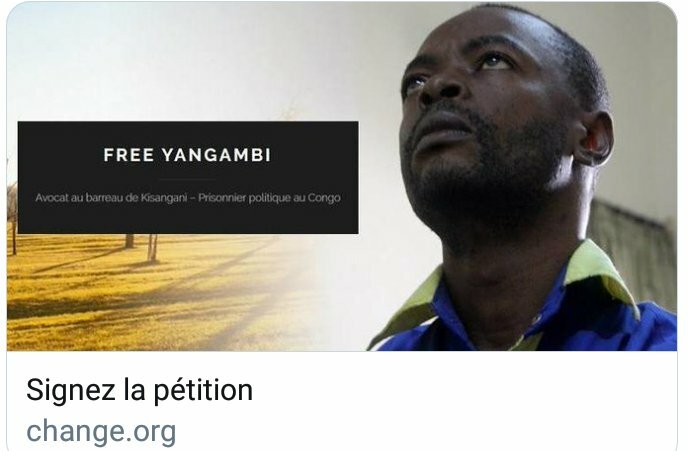 Au terme des 10 ans d’emprisonnement pour “formation d’un mouvement insurrectionnel”, il a été gracié mercredi 13 mars par le Président de la République. A prominent Kurdish human rights lawyer shot dead in mysterious circumstances in 2015 was probably hit by a bullet from a police officer’s pistol, an investigation by a specialist UK-based team has concluded. Tahir Elçi, chairman of the Diyarbakir Bar Association, was an advocate for human rights in the decades-long conflict in the predominantly Kurdish south-east of the country. He was killed during a press conference outside a mosquein November 2015. No one has been charged with the killing. Now research by a specialist team at a UK university has concluded that Elçi may have been killed by a shot from a police officer’s gun during an exchange of fire between security forces and members of the militant group PKK. Elçi was killed by a single bullet to the back of the head. The fatal bullet was not recovered – one of several shortcomings in the police investigation – but the manner of Elçi’s death was reminiscent of previous killings of Kurdish nationalists and human rights advocates by ‘unknown perpetrators’. The Forensic Architecture investigation analysed four videos of the incident, none of which showed Elçi at the moment he was shot. Investigators counted every shot that could be heard during the crucial period, who fired each shot, and in which direction. Visible points of impact were also recorded. The investigation concluded that 26 of the 40 shots were fired by police. Plotting the direction of shots in a 3D computer generated model showed that neither of the PKK militants could have fired the fatal shot, though one of them fired at a police officer, wounding him in the lower abdomen. It also discounted police claims that ‘long-range weapons’ had been fired from barricades at the end of the street. There was a drama at Asokwa district court in Kumasi on Thursday March 14, 2019 when the family of Wasiu who was shot dead at NDC Ashanti Regional Office attacked the private legal practitioner defending members of NDC vigilante group, the Hawks. It would be recalled the Asokwa District Court on March 4, 2019 remanded the three members of ‘The Hawks’ who surrendered themselves to the police following the shooting incident at NDC regional office that left one dead and another badly injured. The suspects were expected to make their appearance on Thursday March 14, 2019 as directed by the court during the last sitting. Dauda Ibrahim alias Wayo, 40; Agyin Samuel alias Rock, 32 and Abdul Ganiyu alias Petit 37, were provisionally charged with conspiracy to commit and murder. But during Thursday’s sitting, the bereaved family stormed the court premises in their numbers with friends and were seen causing confusion disrupting proceedings. Lawyer Evans Amankwah who was the target of the attacks had his car tyre destroyed by the bereaved family and their friends who were charged and ready to visit violence on anyone who stood on their way. Speaking to MyNewsGh.com he revealed that he was kept hostage by the bereaved family and friends after the court proceedings which had adjourned the case to a later date. El presidente del Colegio de Abogados de Honduras (CAH), capítulo norte, Julio Orellana, reveló este lunes que entre 500 y 700 profesionales del derecho han tenido que abandonar el país por amenazas a muerte. – El gremio de los abogados es uno de los afectados por la violencia en Honduras. Al menos 154 profesionales del derecho perdieron la vida en circunstancias violentas, desde 2002 a la fecha, en más del 90% los casos están impunes. “La situación que vive el profesional del derecho en nuestro país es muy difícil. Alrededor de unos 500 y 700 profesionales del derecho han tenido que salir de nuestro país debido a las diferentes amenazas por los distintos trabajos que realizan en los tribunales de la República”, afirmó. Entre esas amenazas, detalló: “Muchas acciones que son ejecutadas por los bancos en contra de personas, éstos no entienden que es el banco es que la ejecuta a través de un abogado y creen que quitándole la vida a un profesional del derecho van a detener la acción y eso es absolutamente falso”. Orellana citó también que varios colegas conocen casos de alto riesgo, lo que los hace vulnerable ante grupos que se sienten afectados. El representante del CAH en el capítulo norte, lamentó que casi en su totalidad las muertes violentas de abogados quedan en total impunidad. N.B. : Approximately 700 lawyers have been forced to flee the country recently due to death threats.